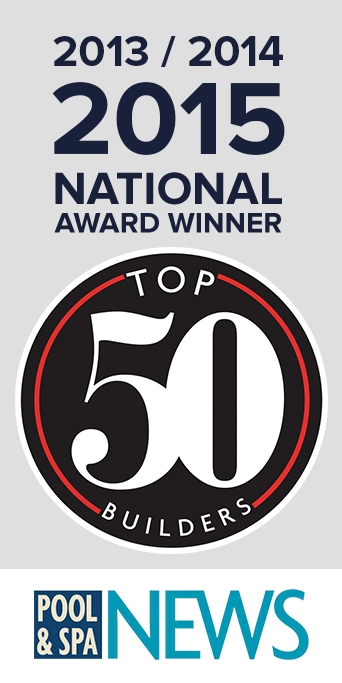 Pool and Spa News named Cipriano as a Top 50 Pool Builder 2013, 2014, 2015 And 2016. 2014 Piscine Global Award Winner - Lyons, France. 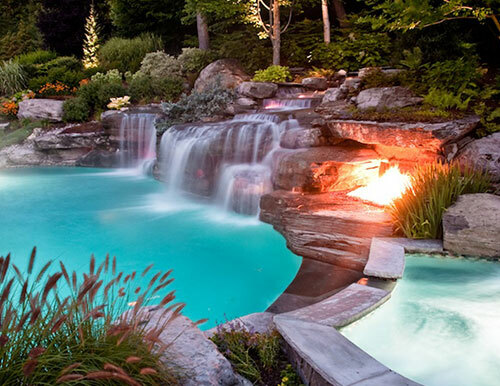 If you’re looking for a complete backyard oasis, look no further. 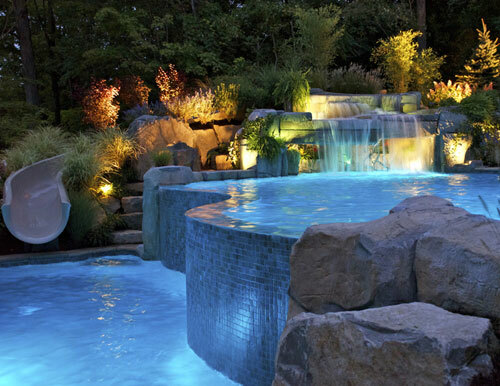 We specialize in the design and construction of all-glass-tile pools & spas, vanishing edge swimming pools, perimeter overflow pools & spas, fiber optic pools and pools with natural grottos & waterfalls, each one crafted meticulously with expert precision! Established in 1989, Cipriano Landscape Design and Custom Swimming Pools is proud to be celebrating its 28th year in business! The company began as a custom landscape and masonry business and expanded into luxury inground swimming pool construction in 2001. New Jersey Licensed Landscape Architect William Moore (NJ License #823) joined the firm in 2004, and has since headed the landscape architecture office of the company. 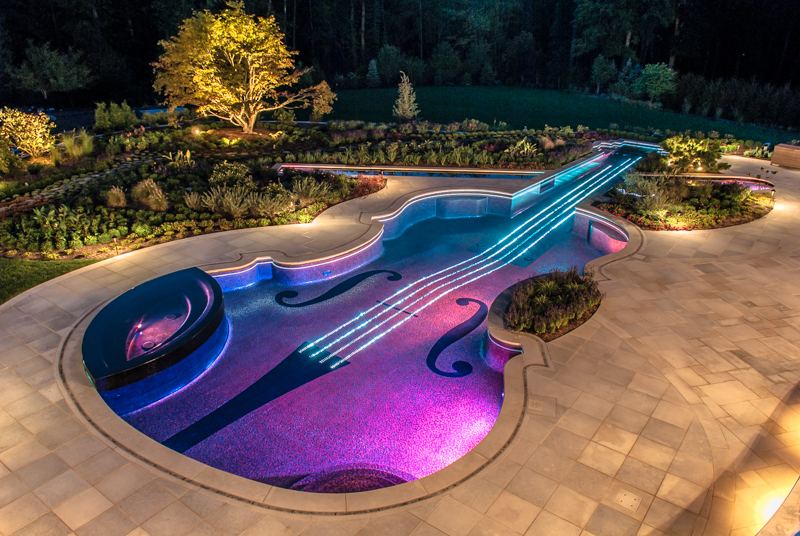 When you hire Cipriano for your custom swimming pool project, you can feel confident knowing that, for the last 16 years, we have successfully designed and built some of the most difficult and intricate swimming pools in the industry. Our completed projects include all-glass-tile swimming pools and spas, vanishing edge swimming pools, swimming pools with grottos and natural stone waterfalls, fiber optic swimming pools, perimeter overflow swimming pools and spas, and pools with acrylic panels. 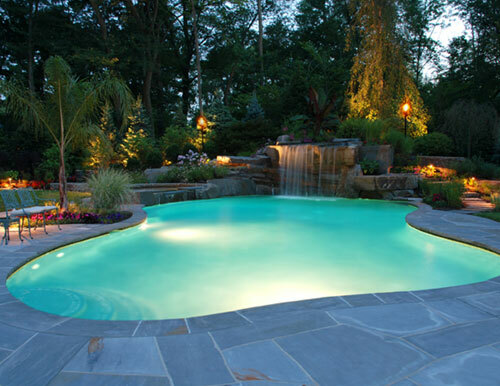 Does your pool design include landscaping and masonry? If so, our staffed masons have set over 200,000 square feet of natural stone patios. On our 10-acre tree farm located in Mahwah NJ we grow hundreds of exotic specimen trees and plant material used on our landscape projects. 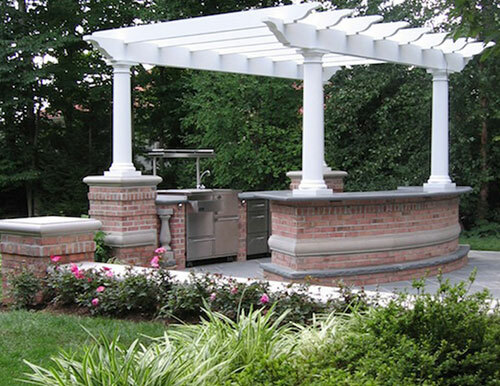 We satisfy all of your luxury outdoor living needs under one roof. 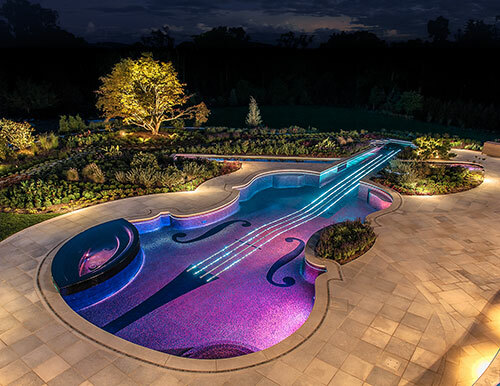 In 2013, 2014, 2015 and 2016 Cipriano Landscape Design and Custom Swimming Pools was named by Pool & Spa News a national “Top 50 Pool Builder” and we hold over 90 landscaping, masonry, and unground swimming pool awards, including 20 international pool design awards and a 2014 Pinnacle Award from Luxury Pools Magazine. Hiring Cipriano ensures a quality investment. 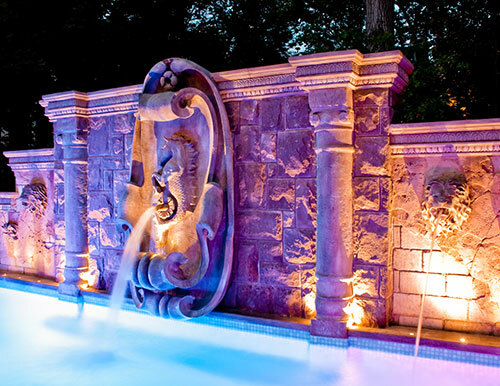 Not only will you benefit from our award-winning experience, but also you will feel the comfort of knowing that your custom landscaping, luxury inground pool, natural stone masonry, earthwork, and lighting are all designed, installed, and serviced by Cipriano’s on-staff specialists. Cipriano Landscape Design And Custom Swimming Pools was named a 2013, 2014, 2015 and 2016 “Top 50 Pool Builder” in the United States by Pool and Spa News. Download our free 10 Steps To A Dream Backyard guide to help you make educated decisions on your journey toward your perfect backyard paradise. 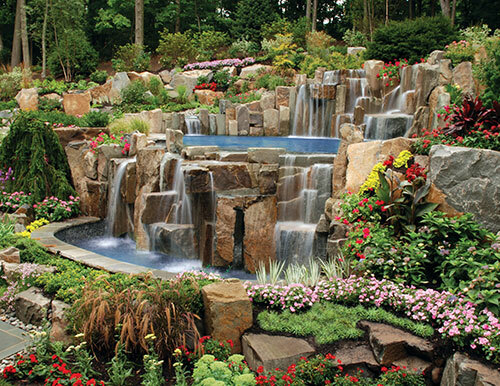 Explore all the options available to get the PERFECT pool & landscape you’ve always dreamed of. 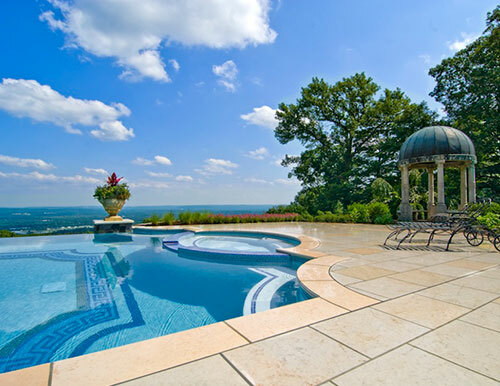 Infinity Edge Pool- Saddle River, NJ. Our clients are very happy with what we have done for them. Hear it from them. We’ve been featured all over. Take a look at some of the articles and television spots. Stay up to date with industry news and tips for your dream backyard. Still wonder what we can do for you? Take a look at the extensive list of services we offer for your homes dream backyard. Ready to build your dream backyard?